A pioneer in the executive coaching industry, Merry Marcus is recognized as a leading executive coach who supports Global 500 top strategic thinkers to deliver results by working smarter not harder. Since 2000 her coaching has helped executives restore their energy, lead with more self-awareness and increase their work/life satisfaction. As founder and CEO of Break Through Consulting, Merry created the Conscious Coaching©Process, a differentiated approach that supports executives in living and working “on purpose” by aligning to their core values. Ms. Marcus leads a team of highly accomplished coaches that she has trained and certified in this Process. Merry is a serial entrepreneur who has founded, or served as Principal, for four start-ups in emerging professional services industries. 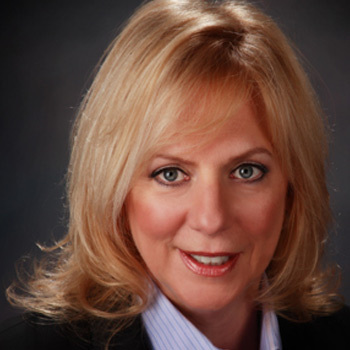 She is also a seasoned executive having served as Vice President of Sales and Operations in Fortune 100 companies. Leaders are often told what others think the leader wants to hear, rather than the truth. The Executives coached by Merry appreciate her direct, honest counsel and her ability to spur provocative conversations. She creates a non-judgmental, deeply human coaching space in which top performers feel 100% supported and also challenged to achieve life-changing business and personal growth. Merry coaches the essential skills senior executives in multibillion-dollar companies need in today’s highly-matrixed organizations, including: communications that motivate and inspire others to action, collaboration and the ability to hold multiple – even opposing – points of view simultaneously. Participants report feeling more authentic and are able to more skillfully navigate internal politics and create greater visibility for themselves and their team. Her deep insight and experience support business leaders in visioning new business strategies, developing innovative ways to “do more with less” and thriving in the context of rapid change. Merry has a deep affinity for nature, dividing her time between the woods of Bucks County, Pennsylvania and the ocean. Her yoga practice and lots of time with family and her coaching team further enrich and energize her. “Coaching with Merry Marcus has definitely impacted my bottom-line business results. Merry really is a business coach. It's her experience as a business executive and entrepreneur, added to her skill as a coach, that really helps me to broaden my thinking." VP of Global Sales promoted to COO in a multibillion-dollar company through coaching stronger executive presence and more collaborative peer relationships. Technical leader, promoted to business unit head, achieved $30 million over revenue goal through an improved communication and relationship strategy - transforming his business unit from 5 years of fade to profitability. Supported a $15 million better budget allocation as a result of better communications strategies for a client in a major telecommunications company.